Essentials of a classic intellectual. I bet it's not of a secret I possess this geek, or intellectual, side of mine. Sometimes it pops up and stands forefront, sometimes it just sleeps deep inside. There are times when it also feels too shy to show up and hides behind me shivering from... fear (?)... no... from uncertainty I would say. Yes, my love, or put it passion, towards everything geek-ish, masculine, simple has been manifesting itself for quite several months now. 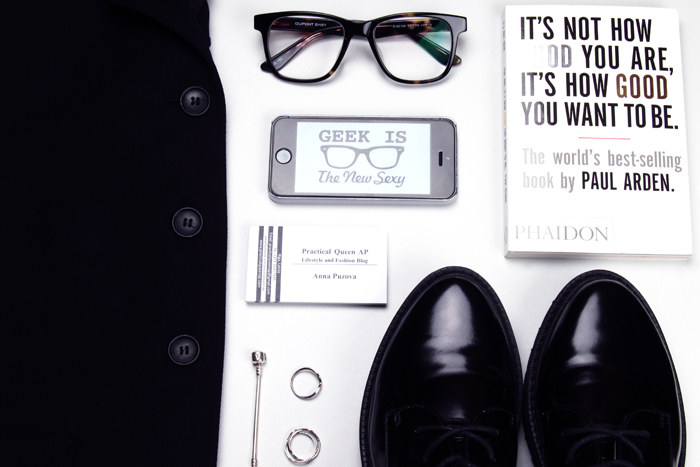 I liked, and still do, looking through images of females creating pretty interesting combinations with masculine shoes or retro-ish, sometimes geek-ish, glasses and bringing around smartphone and a book/notebook as their main accessories. And I can't even express in words how much I fall for ladies who can pull an intellectually masculine outfit and still remain highly attractive. Something like legendary Marlene Dietrich's androgynous look. Well, while I still have a long way to go to reach style level of Marlene and the likes, here is my little, let's call it starter's, pack of a fashion intellectual. 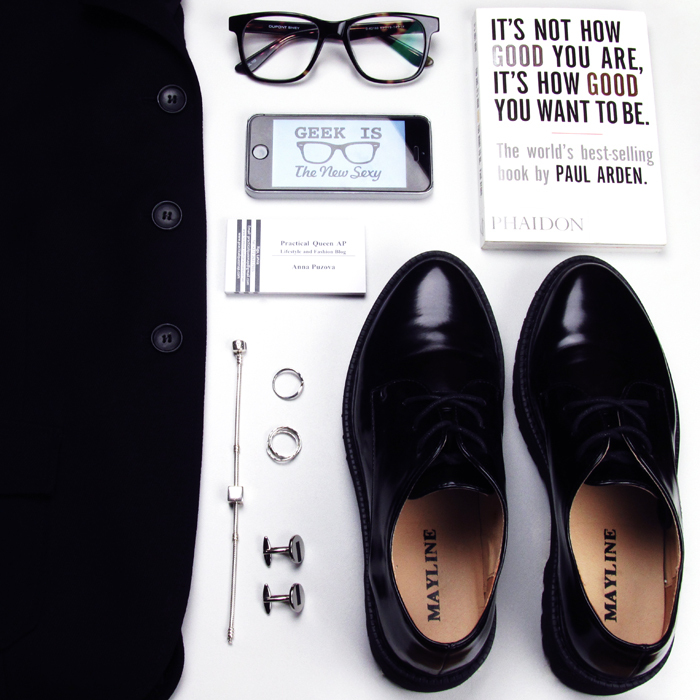 Elegant blazer, masculine shoes, geek-ish glasses, tiny, minimalistic details, irreplaceable smartphone and a highly cognitive book. This kind of combination is filled with simple colors and simple lines. But this very kind of simplicity possesses a lot of power. Hidden power. And statement power. This kind of power is known as intellect. 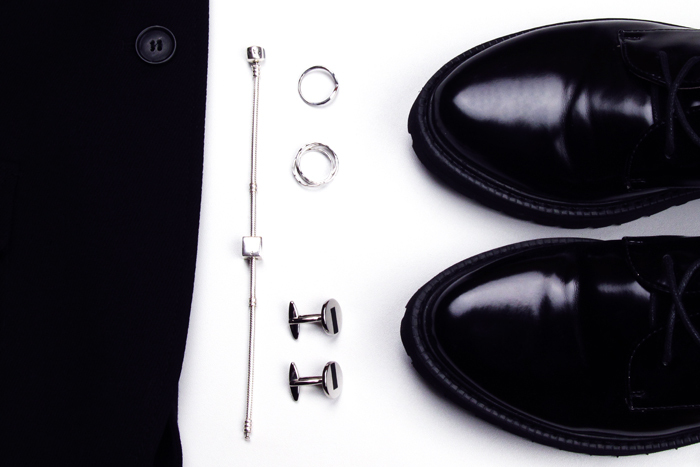 As they say, Devil is in the details... we say, bright mind is framed in sleek silhouette.